Where can you find healthy — but affordable — food on and around campus? Which WSU parking lots offer reduced fees and where are the free shuttle stops? What resources are available to help pay for health care? How can you have a lot of fun in Detroit without spending a lot of money? 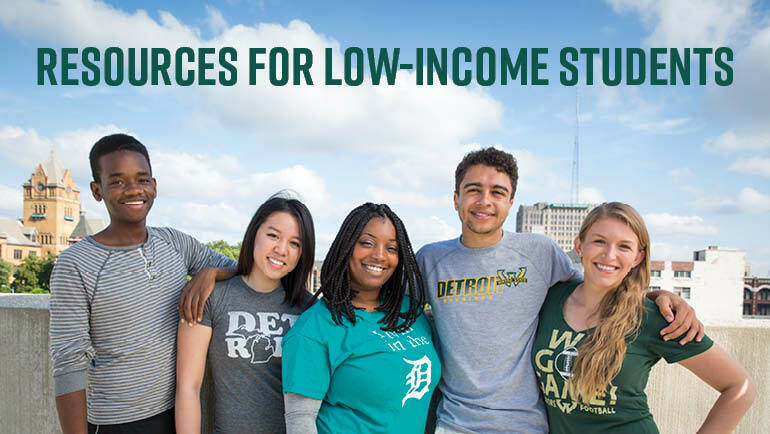 In keeping with its long-term commitment to offer access and opportunity, Wayne State has launched an online resource guide to help students answer all of those questions and more. The guide, Resources for Low-Income Students, provides a centralized directory to help students find affordable food, transportation, housing and health care options, as well as information about employment opportunities, scholarships and financial aid programs — plus low-cost or free social activities on and around campus. Lauren Schandevel, who served as project lead on the guide during its development, said the goal was to provide a direct, centralized location to help students connect with options. While it was created with self-identified low-income students in mind, Schandevel said the guide can be helpful to any student who’s trying to live on a budget. View the guide online. For additional information, contact the Office of Student Financial Aid at studentservice@wayne.edu or 313-577-2100.